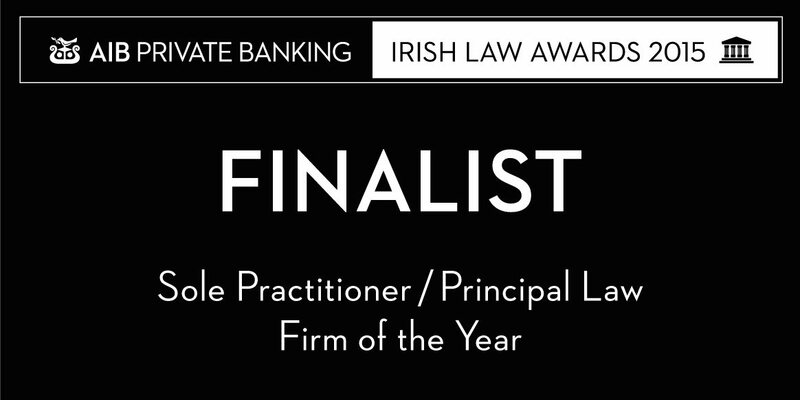 I am genuinely delighted to have been chosen to be a finalist in the Sole Practitioner of the Year AIB Law Awards 2015. This particular category is a hotly contested one because the majority of Solicitors in Ireland are Sole Practitioners and therefore it is a particular honour to have been chosen to be shortlisted as one of only 6 solicitors in this category. Here at Reilly & Co, Solicitors we try our utmost to provide our clients with the best and most commercial service we can possibly provide and being shortlisted for these awards shows that we are doing that right. I would add that this is the second time that Reilly & Co, Solicitors have been shortlisted for the Irish Law Awards which is a real honour for a boutique commercial law firm in West Cork! The winners of the AIB Irish Law Awards 2015 will be announced at the Awards Ceremony on 30 April 2015. If you want to discuss any commercial matter that you have then please just call David Reilly direct on 086 252 9483 – happy to talk to see how we can help you.